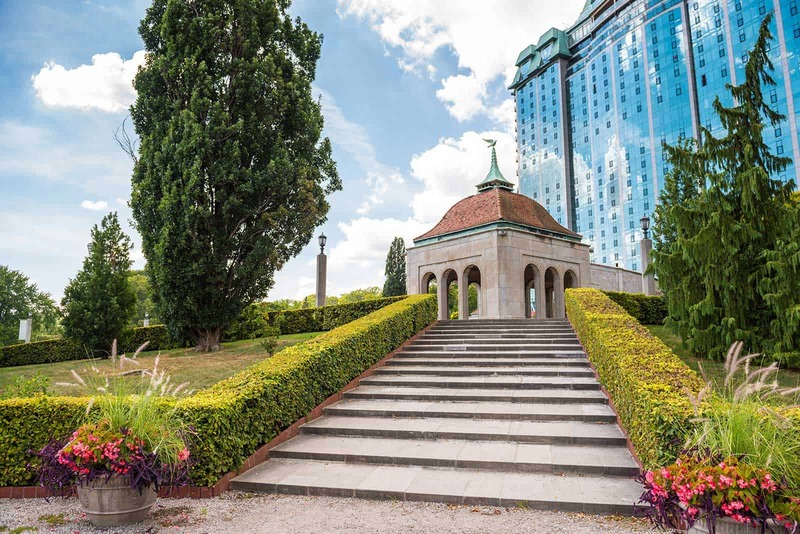 The spectacular Oakes Garden Theatre is the entrance-way to Queen Victoria Park, the key central area of Niagara Parks that showcases the Falls. 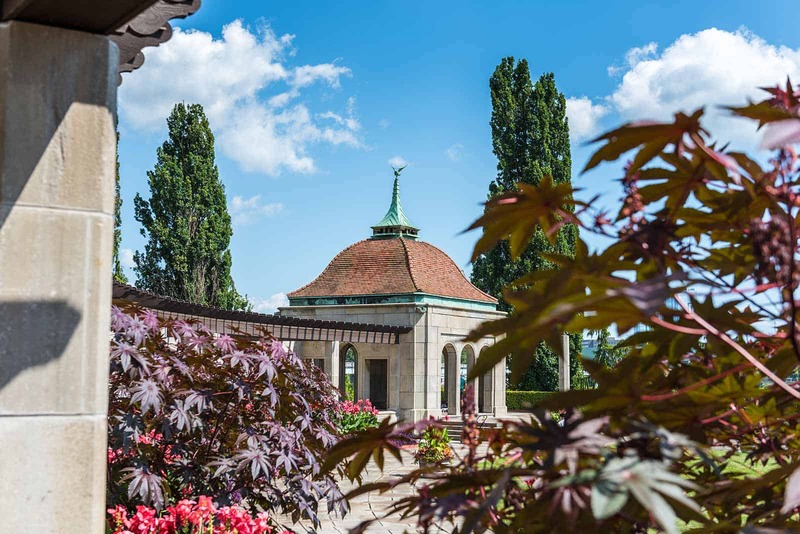 Located at the foot of Clifton Hill, this is the perfect spot for a superb panoramic view of the American and Horseshoe Falls. Concerts and special events are held here throughout the summer. 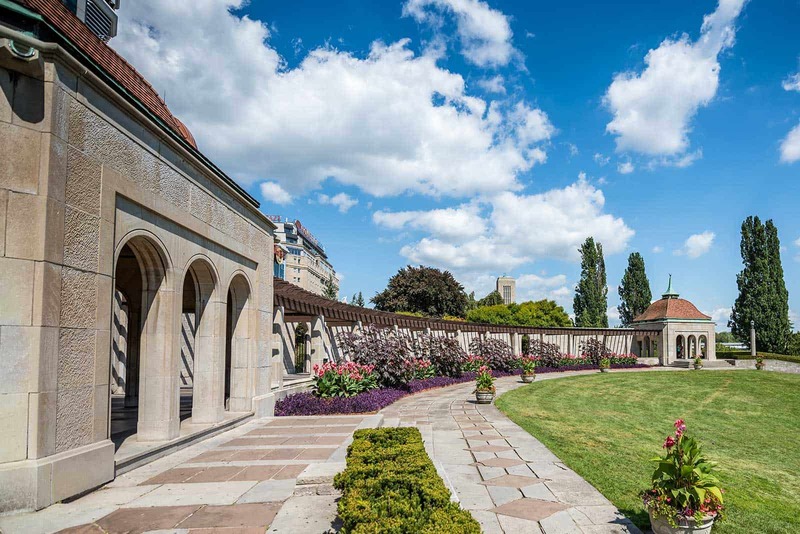 Constructed in 1936, designers capitalized on the contours of the landscape to create a curved pergola overlooking a central amphitheatre. 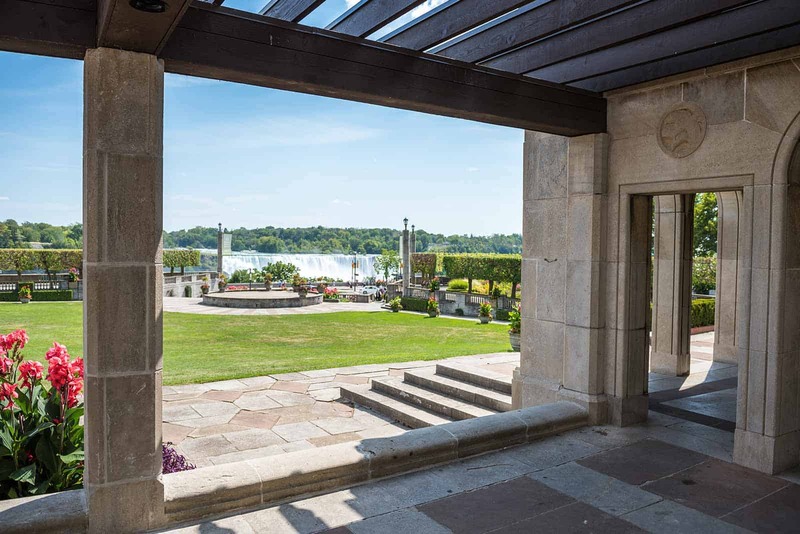 Rock gardens, lily ponds and shrub borders have been created around formalized gardens, with attractive ornamental iron gates and Queenston limestone around the perimeter.